Vintage style and green living go together like grain and paisley. That is to say, there’s nothing greener than making a dress, tote bag, or notebook cover from fabric that your grandmother saved from a sack of flour in the 1940’s. Patterned feedsack fabric was a genius marketing gimmick from a time when everything was reusable, and nothing came in plastic. All kinds of products from animal feed and seeds, to flour and sugar, was sold in plain muslin sacks, which homemakers saved, washed and reused around the house. Someone thought it would be a good idea to make the bags pretty, and suddenly fashionable feedsacks were in demand. Today feedsack fabrics are being revived for everything from quilts to dresses, and the cute vintage patterns are certainly charming. I’d love to get my hands on some and use the motifs as backdrops and stencils for bead embroidery. 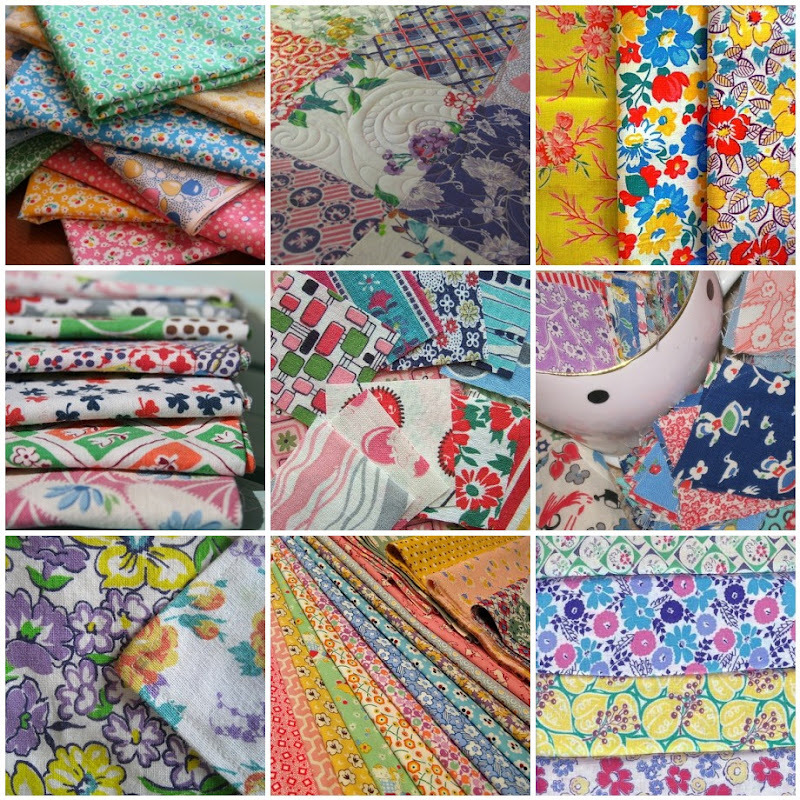 Do you like vintage feedsack fabric? What’s your favorite pattern? I actually have a 4 generation quilt that is made of vintage feed sacks that I so need to finish. My greatgrandmother pieced the hexagons by hand and I have completed the top but I still need to quilt it. These fabrics are so fun and funky that you just have to smile when you look at them!